Morphisms constitute a general tool for modelling complex relationships between mathematical objects in a disciplined fashion. 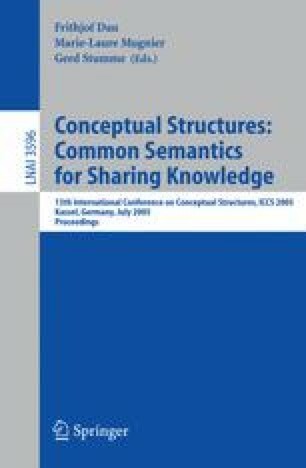 In Formal Concept Analysis (FCA), morphisms can be used for the study of structural properties of knowledge represented in formal contexts, with applications to data transformation and merging. In this paper we present a comprehensive treatment of some of the most important morphisms in FCA and their relationships, including dual bonds, scale measures, infomorphisms, and their respective relations to Galois connections. We summarize our results in a concept lattice that cumulates the relationships among the considered morphisms. The purpose of this work is to lay a foundation for applications of FCA in ontology research and similar areas, where morphisms help formalize the interplay among distributed knowledge bases.